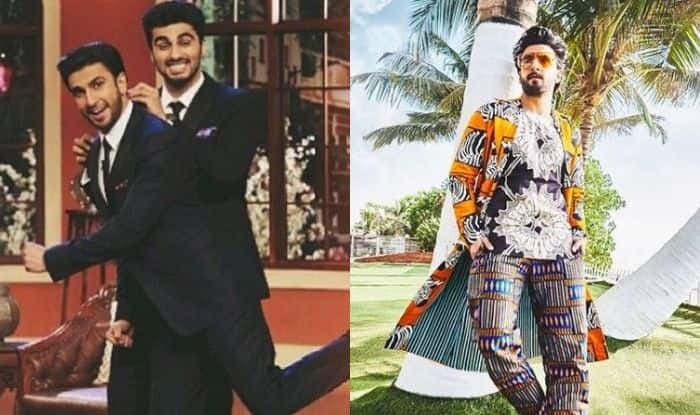 Arjun's funny comment on Ranveer's picture will leave you in splits. Actors Ranveer Singh and Arjun Kapoor share a great bond. From dancing together to cracking jokes, people are well aware of their bromance. 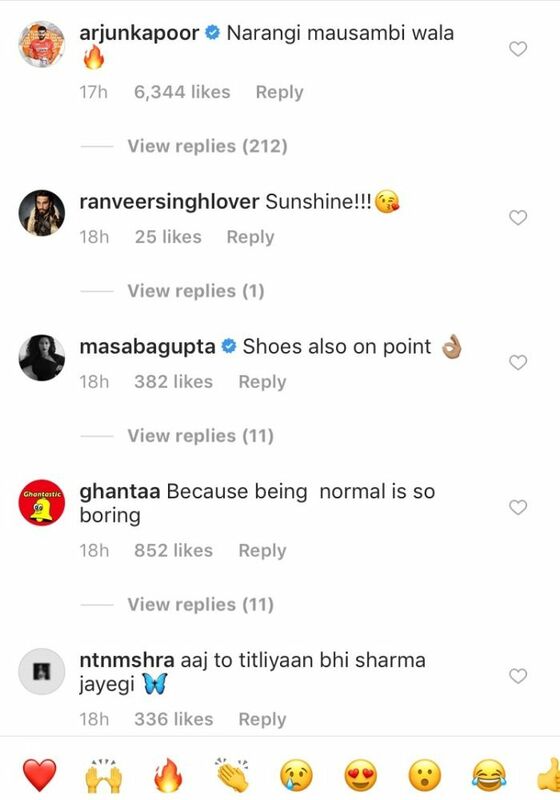 Ranveer’s quirky fashion choices have always become a topic of discussion and sometimes people can’t figure out how to react. As the actor is busy with the promotions of his upcoming film, Gully Boy, he shared his picture in an orange-black bold print outfit by designer Masaba Gupta. Just like us, even Arjun couldn’t stop himself from commenting and the result is too funny. Arjun is the ultimate troller of Bollywood as earlier; he also posted a funny comment on Katrina Kaif’s picture. The actor shares good rapport with many Bollywood stars. He is currently in the limelight for his rumoured relationship with Malaika Arora. Both of them are frequently spotted together which indicated that there is something more than friendship between them. Speculations were rife that they are also planning to tie the knot. However, both of them rubbished these reports. He is occupied with the work of Panipat. The movie also features Kriti Sanon and Sanjay Dutt. Gully Boy is all set to hit the screens on February 14.